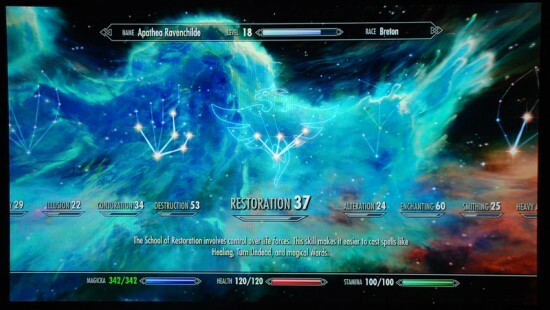 The Apathea in Skyrim contest is over, and I would like to announce Andy Krueger of Carver, MN the winner! I crown him Arch High-nerd of Lorian! He even took the time to play up to level 18! As the bonus prize for going the extra mile, he’s getting a handful of original art from the Lorian Gendarme Guidebook! He didn’t stop there! Andy also went the extra mile and recreated this scene from the end of the book! He’s also getting the original page for this scene! You can read Andy’s full post over on his blog, here. He pretty much nailed Apathea in her stats, weapons, and perks. I also like that it got him to play Skyrim in a different way. It’s inspired me to try to give it a go. Maybe I’ll make a liskot character and run around in my underwear and a giant battle axe! Yay! for playing video games, comics, and books from the library! MK and I are having a nerd-of-all-nerds contest! 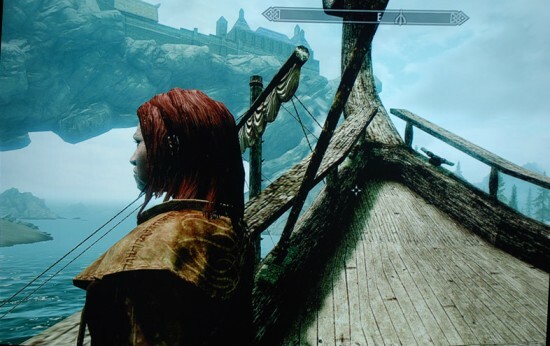 Like every other nerd with a PC, Xbox or PS3, I’ve been playing a lot more Skyrim the last couple weeks than I’d like to admit. 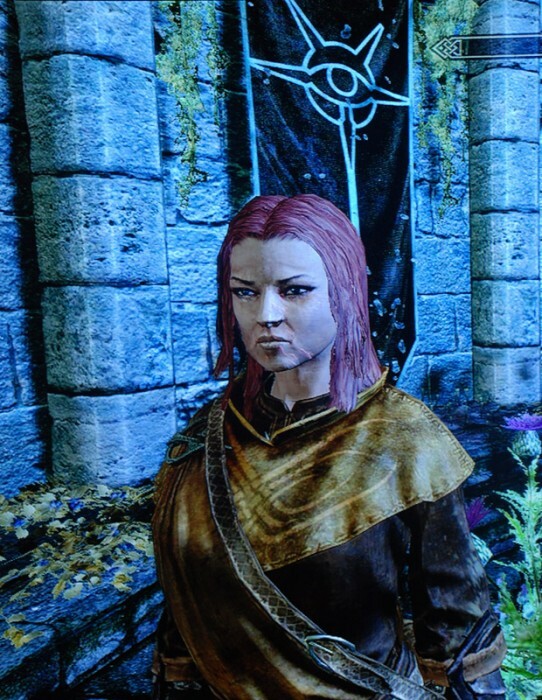 About 15 hours into the game, I thought about how I should’ve tried to make my character Apathea Ravenchilde. [Instead, I defaulted to great and honorable Turd the Conqueror] Anyhow it’s wayyyy too late to go back, make an Apathea character and start over. I know, I know – I could just make a character to see how close I could get it, but I’m so OCD with the character creation that at that point, I would’ve spent so much time making her character, I would feel compelled to start playing through again from the beginning. 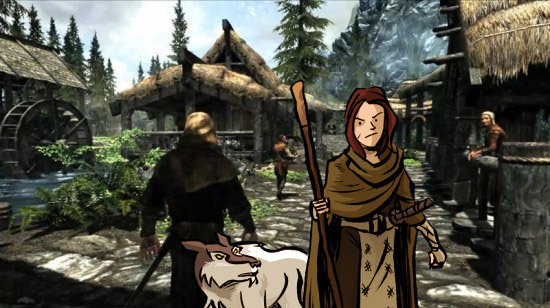 Anyhow, here’s where the contest comes in: We want you to make the best Apathea Ravenchilde you can in Skyrim! 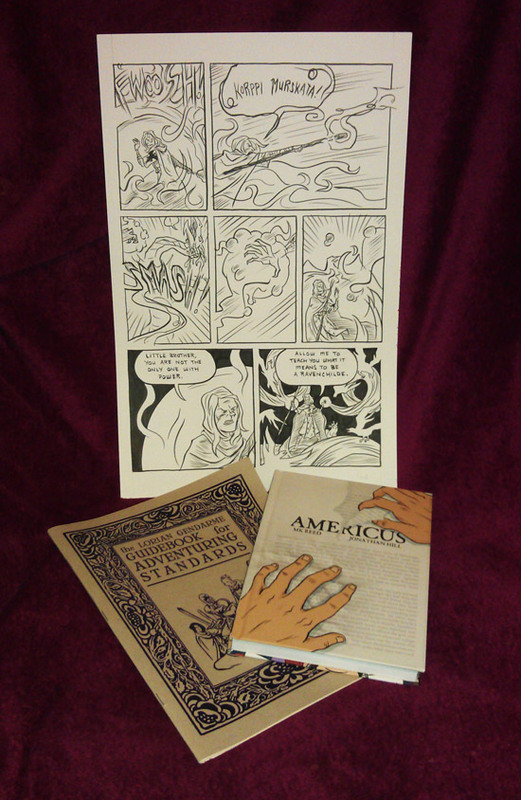 The winner will get a hardcover copy of Americus, a copy of the Lorian Gendarme Guidebook for Adventuring Standards, and a page of original art from an Apathea scene from Americus! • Take some screen shots and e-mail them to myself or MK. • I don’t expect anyone to actually play through the game as Apathea, but go ahead and mention which skills you would have her gain proficiency in and what types of weapons/apparel you would deck her out in. SERIOUS bonus prizes if anyone actually plays through as Apathea to like level 20 and sends screenshots of actually decked out with the weapons, gear, and skill stats. Deadline is Friday, December 16th. This gives us time to look them over during the weekend and then announce the winner and mail stuff out the following Monday to maybe get to the winner before Christmas. What are you waiting for?! Get to it! Go play some video games to win some comics and art! 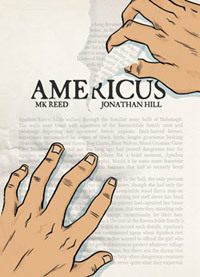 So the whirlwind of Americus promotion this fall is done for the most part. If you want to read my recap of the events, you can read my post over at oneofthejohns.com. And now that things have died down, I’ve had the chance to sit down and work on little things here and there. 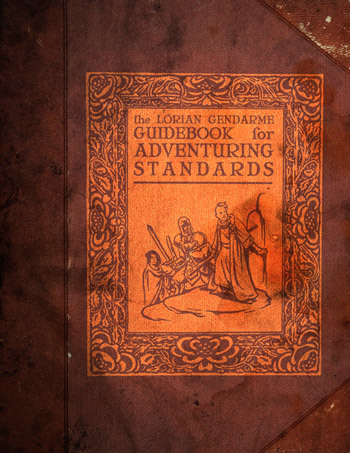 The biggest of which is MK and I have decided to make a special downloadable version of the Lorian Gendarme Guidebook available here at Save Apathea! If you didn’t get a chance to make it to SPX, but were interested in what we were up to, you can download a low-res copy of it here. EDIT: For some reason the back ‘cover’ page didn’t turn out when I exported the PDF. I will try to have a corrected file uploaded later tonight. EDIT: The correct file is up now! Thanks for your patience. That’s it for now. Hope you’re enjoying the fall! So Banned Book Week is here. We didn’t quite have any time to get as much together as we did last year, but we do have some things going on. First off, I’ve fixed the copy a little bit and made the poster we did for last year’s NYCC available for download. You can download the file here. 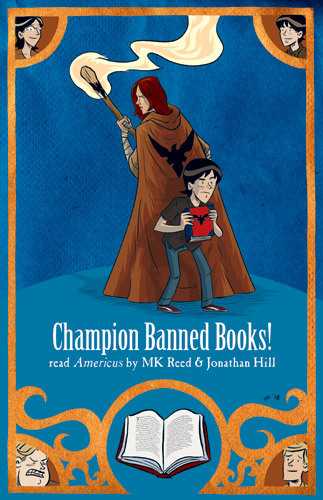 Put it up in your school and in your library and champion banned books! MK and I are also doing a joint reading for the Banned Book Week Virtual Readout. We read one of our favorite scenes from the Hunger Games. If you’re in New York, MK’s participating in WORD’s Banned Book Literary Karaoke on Thursday the 29th. More details here. And even though we didn’t have time to do anything super fancy this year for Banned Book Week, if you weren’t reading Americus on Save Apathea last year during Banned Book Week, you might have missed out some of the interviews and essays we had on the website. You can check them out at the Archives section of the webpage! And check in towards the end of the week when we’ll have some contests and a chance to win a copy of Americus and maybe some other Banned Book Week goodies! 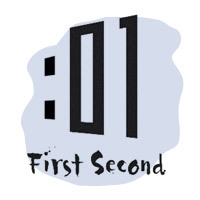 First off – we got a mention at the Huffington Post! The only bummer is that I think they were under the impression that you could still read Americus online here. So if you got sent to Save Apathea from there, I apologize – you just missed the party. The plus side is that the book is out and you can pick up an actual, real copy! Okay, so most of the pieces are in place for the new version of the website. There are a lot of little details that I’m going to be ironing out, and a lot of the pages don’t have much content in them yet, but I’ll be resolving that over the next week or so. I mainly just wanted to get the website in working order so that if we can scramble anything together for Banned Book Week, it will look nice. And yes, SPX was over a week ago, and MK and I had a great time. We’ll be writing a quick recap soon – cross my heart and kiss my elbow. Oh, and if you see anything that looks weird on the website, please let me know so I can fix it! EDIT: The ARCHIVES and PRESS sections are updated with content!